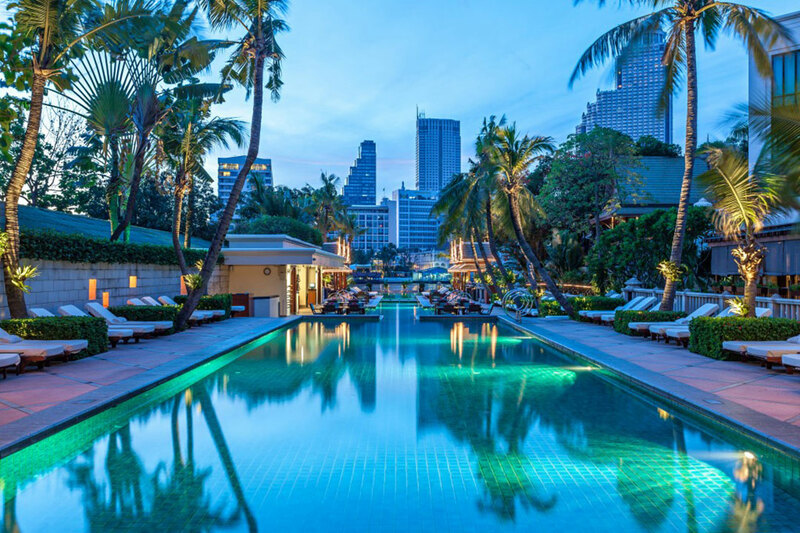 At The Peninsula Bangkok, Peninsula luxury is met with sophisticated Thai charm for the ultimate cultural experience,from the hotel’s iconic Peninsula Green Tuk Tuk to an adventure down the Chao Phraya River and sumptuous authentic Thai cuisine featuring traditional recipes. 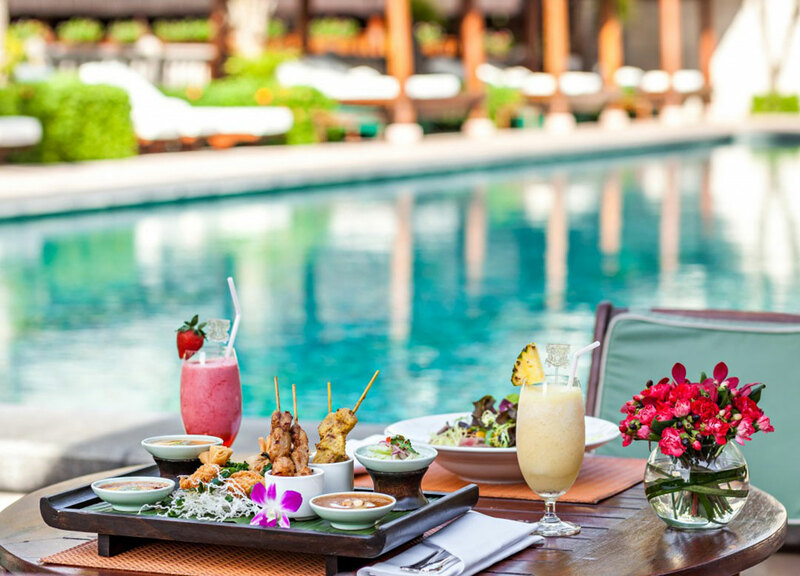 Plan a family holiday and select The Peninsula Bangkok for your summer holiday destination, where various choices of activities and guest experiences such as wellness activities for parents, Peninsula Academy programmes for children and cultural immersion for everyone are available and tailored to fit guests of all ages, thereby ensuring that everyone in your family will truly indulge in Peninsula moments. 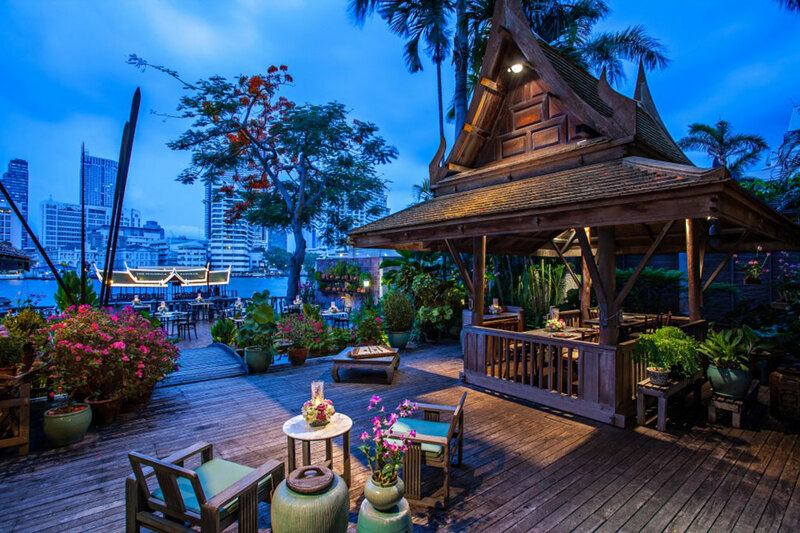 Developed as one of the finest hotels in Bangkok and complete with a riverside location. 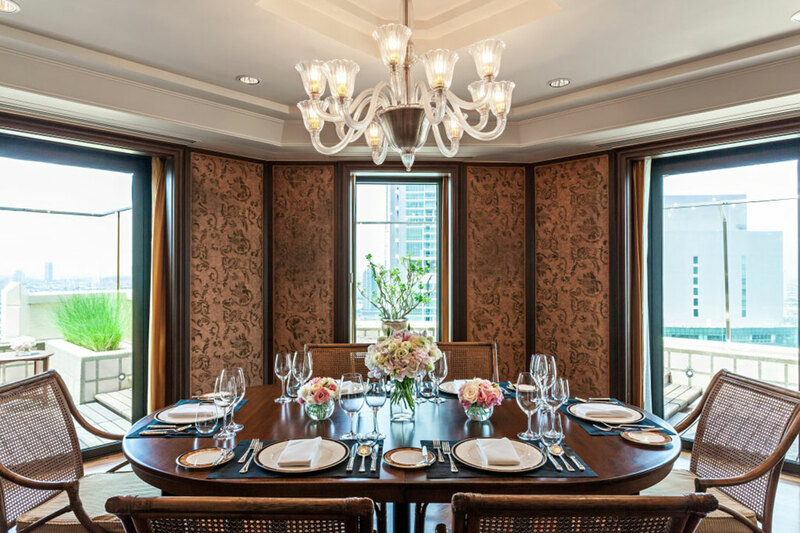 The Peninsula Bangkok offers panoramic views from every room. 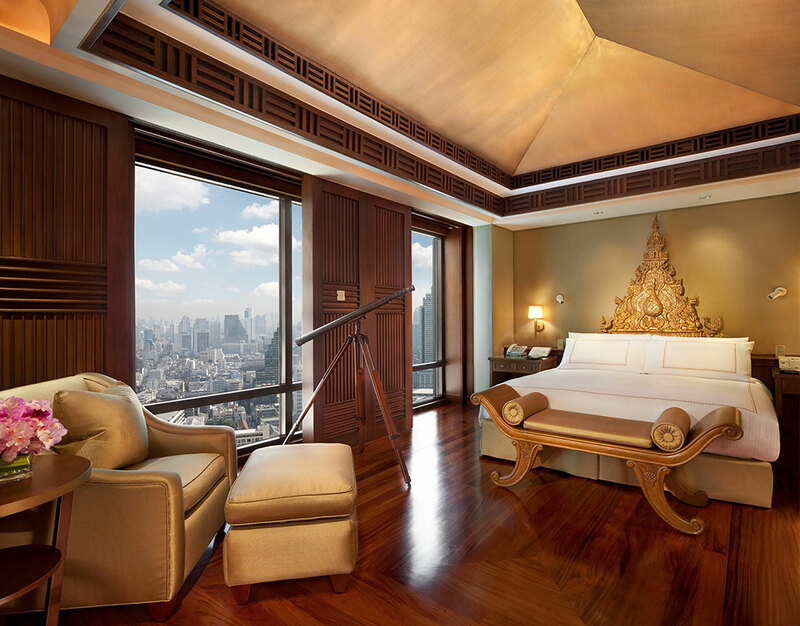 The hotel adds a distinctive architectural statement to the Bangkok skyline and guarantees luxurious comfort, sophisticated facilities, extraordinary dining options and the legendary Peninsula service. 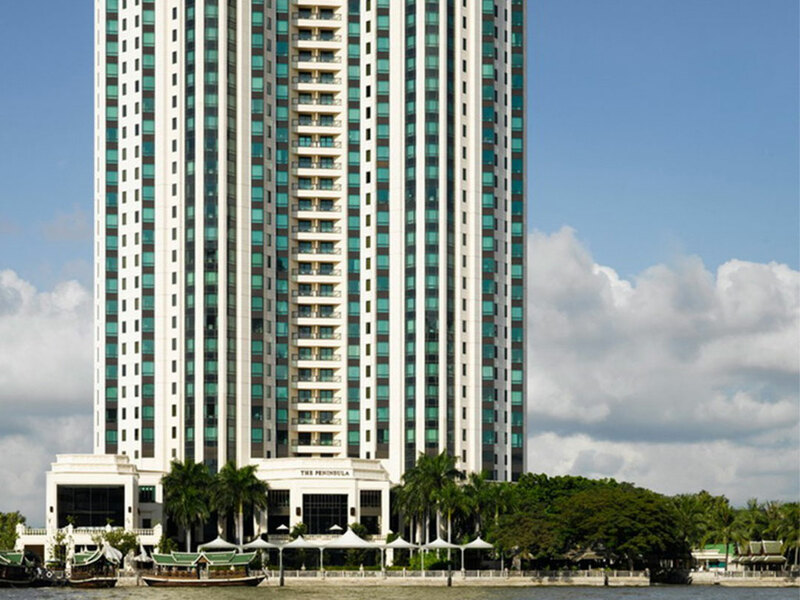 The Peninsula Bangkok offers a range of 370 river view rooms including 60 one-bedroom suites and 5 Themed Suites. 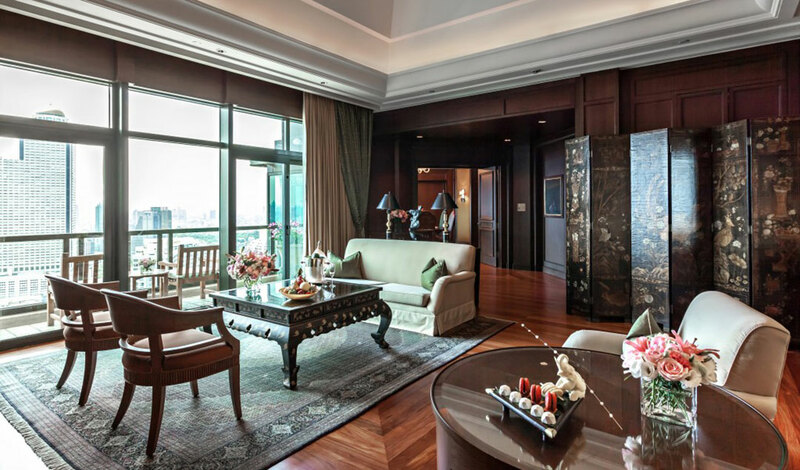 All rooms have breathtaking views of the Chao Phraya River and the city beyond, while some of them offer in addition landscaped balconies. 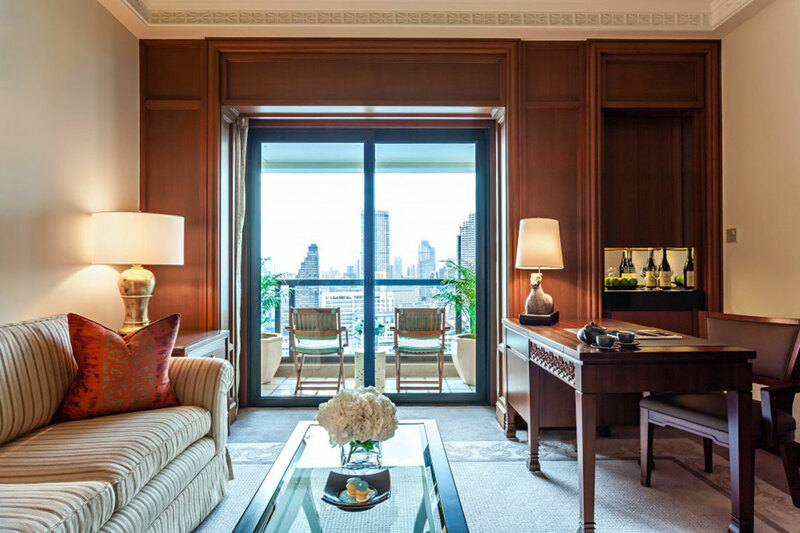 Rates per room/suite per night, based on single/double occupancy, inclusive daily buffet breakfast, applicable government taxes and service charge. Half board or full board rates on request. 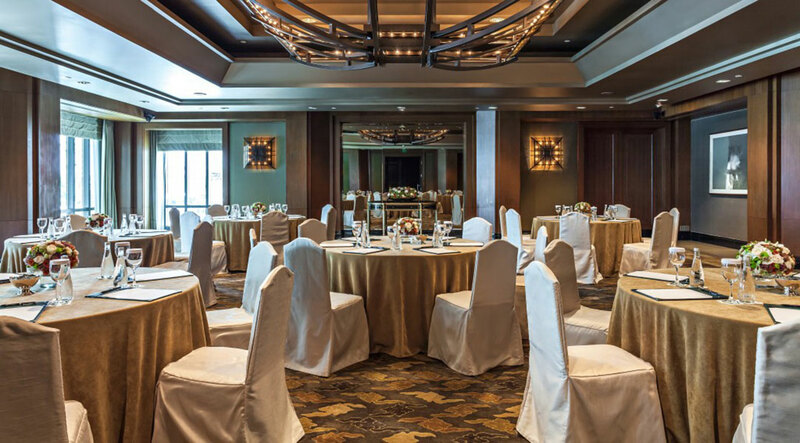 4 restaurants: Mei Jiang (award-winning Chinese restaurant), The Lobby (light meals & traditional Peninsula Afternoon Tea), Thiptara (authentic Thai food) and River Café & Terrace (all-day dining venue). 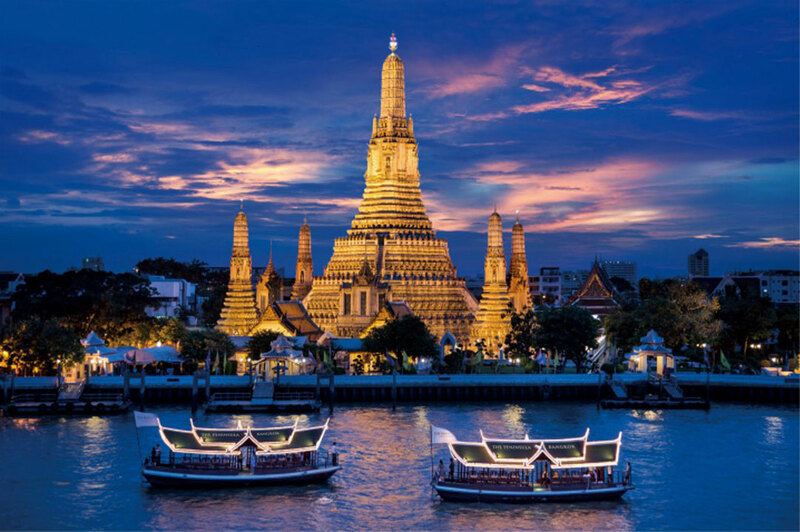 The Spa is located in a stunning three-storey Thai colonial-style building by the river, which houses a number of private suites with steam showers and an ensuite whirlpool overlooking the Chao Phraya River. 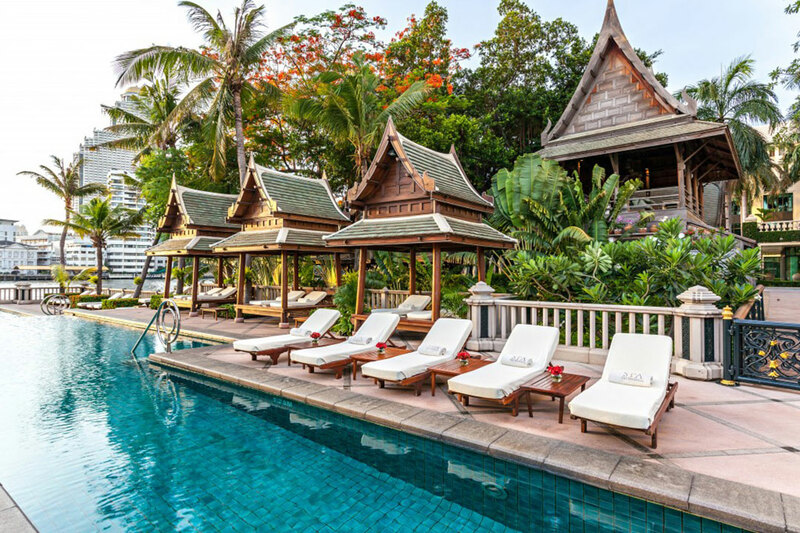 Pampering at The Spa is worthy of royalty. 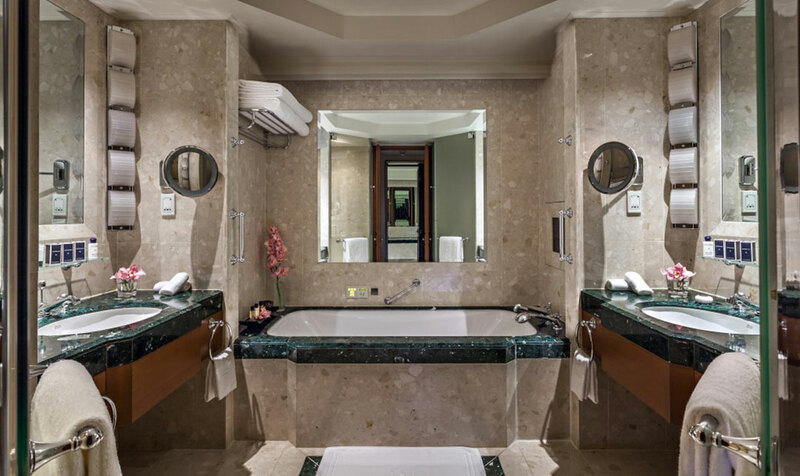 With traditional methods from European, Oriental and Ayurvedic philosophies seamlessly combining with modern comforts. 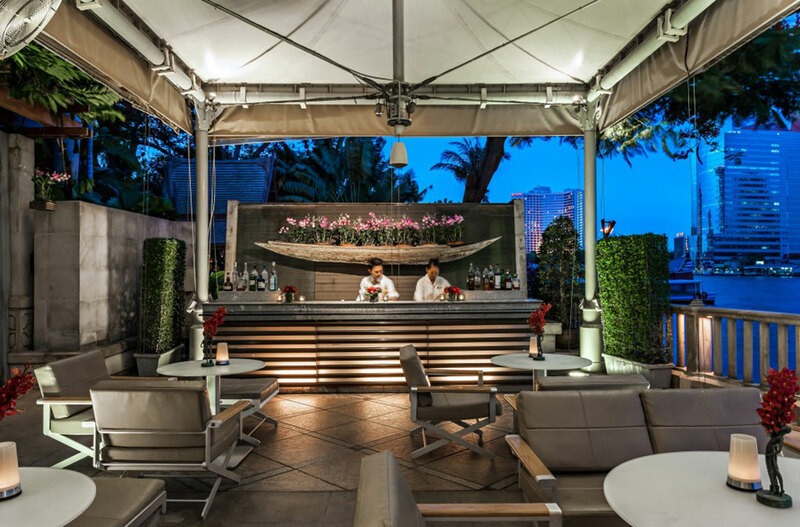 Select from a list of indulgent massages and facials or have one of The Spa’s highly trained therapists create a bespoke treatment tailor-made to suit your needs for a truly wholesome and enlightening experience.